LAFD Photo Gallery: ARLETA – A single vehicle collided with a single-family home. The driver was transported to a local hospital with minor injuries and there were no other injuries. Unknown cause. E7 responded with RA881 and USAR88/Building and Safety were additional units to assess structural integrity of the house. 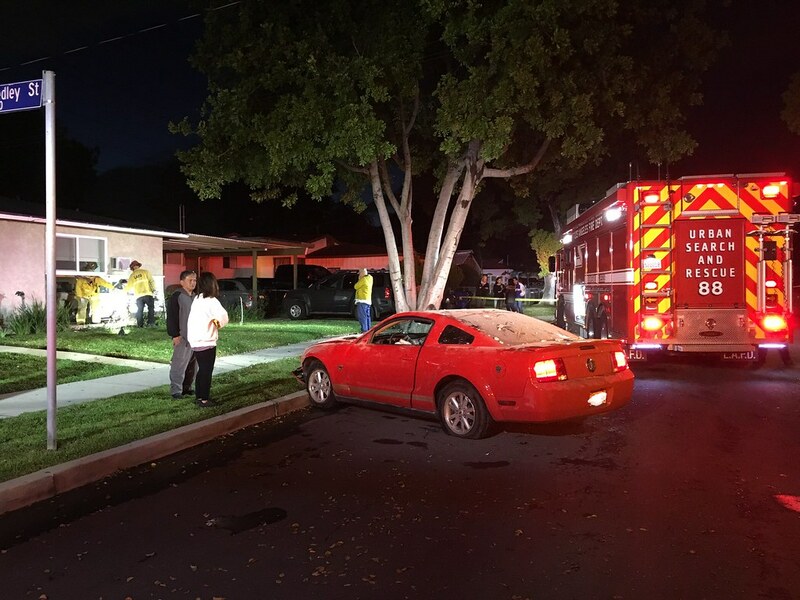 ARLETA – A single vehicle collided with a single-family home. The driver was transported to a local hospital with minor injuries and there were no other injuries. Unknown cause. E7 responded with RA881 and USAR88/Building and Safety were additional units to assess structural integrity of the house.